Productivity Study - Contour Design Inc. The RollerMouse Red is the culmination of 20+ years of outside-the-box engineering that brings an innovative design meant to boost productivity with an ergonomic form factor to keep people working in comfort. The biggest key to gaining employee productivity lies in the design. 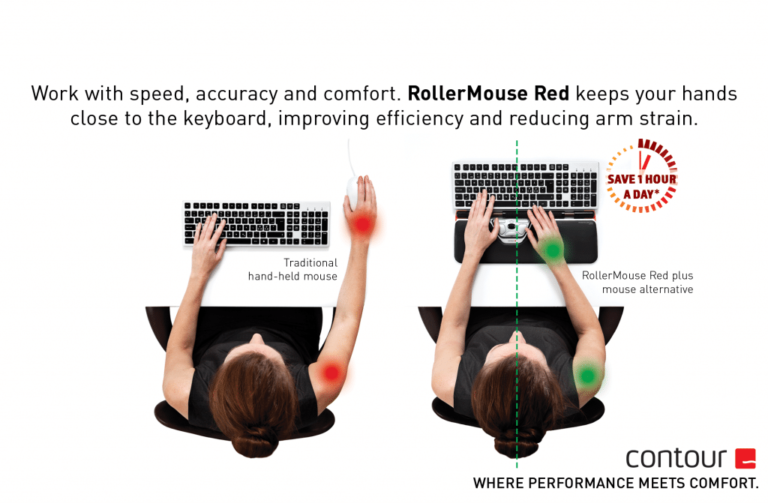 The RollerMouse Red sits directly below the keyboard, which eliminates wasted time and energy just to move your cursor! On average, an employee can waste up to an hour a day reaching for the mouse and reorienting their workflow. With a high powered sensor and an intuitive cursor mechanism faster than a traditional mouse and more precise than a trackpad, with our ergonomically minded design your employees will experience increased comfort and reduced fatigue, ensuring they are at the top of their game. 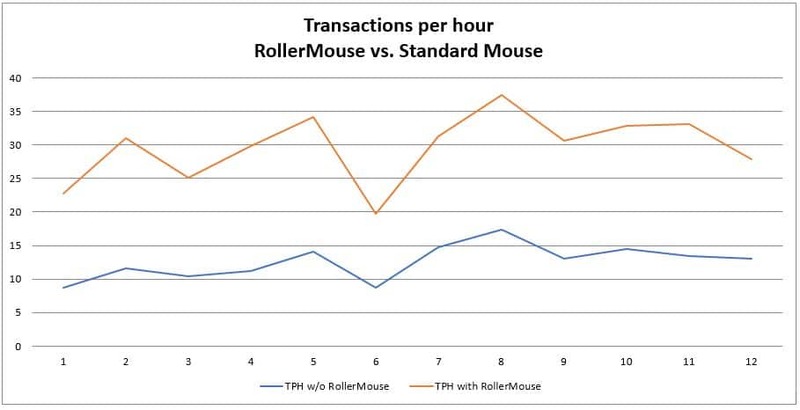 That’s not all RollerMouse® Red can do! With dramatically reduced motion to accomplish more and our ergonomically minded design, your employees will experience increased comfort and reduced fatigue, ensuring they are at the top of their game all day, every day. 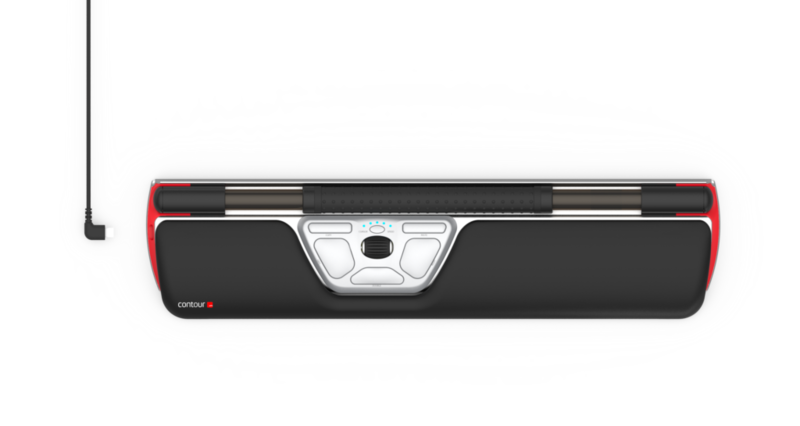 From the ground up, RollerMouse® Red was designed with employee productivity in mind. Are you getting the most out of your workstation?